A traditional shaving soap thats pays homage to our Dutch heritage. Made with sheep milk and tallow plus lanolin and shea butter for aftershave conditioning. 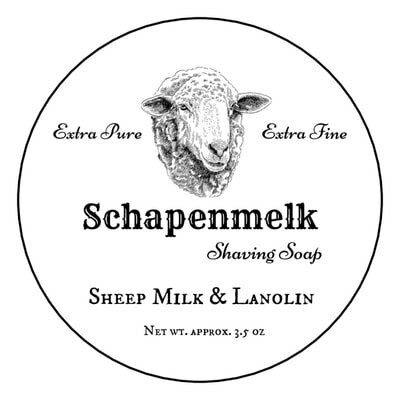 Economically priced, Schapenmelk Shaving Soap is formulated to easily create a thick and creamy lather with abundant slickness and excellent post shave. Perfumed with a pleasing scent. Unfortunately, there are no purchase links for Cold River Soap Works - Schapenmelk - Soap.